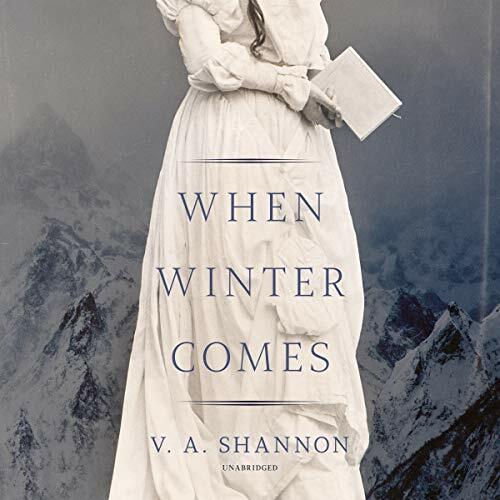 In the voice of an unforgettable heroine, V. A. Shannon explores one of the most harrowing episodes in pioneer history - the ill-fated journey of the Donner Party - in a mesmerizing novel of resilience and survival. Mrs. Jacob Klein has a husband, children, and a warm and comfortable home in California. No one - not even her family - knows how she came to be out West 13 years ago. Jacob, a kind and patient man, has promised not to ask. But if she were to tell her story, she would recount a tale of tragedy, mishaps, and unthinkable choices - yet also sacrifice, courage, and a powerful, unexpected love.... 1846: On the outskirts of Cincinnati, wagons gather by the hundreds, readying to head west to California. Among the throng is a 15-year-old girl eager to escape her abusive family. With just a few stolen dollars to her name, she enlists as helpmate to a married couple with a young daughter. Their group stays optimistic in the face of the journey's hazards and delays. Then comes a decision that she is powerless to prevent: Instead of following the wagon train's established route, the Donner Party will take a shortcut over the Sierras, aiming to clear the mountains before the first snows descend. In the years since that infamous winter, other survivors have sold their accounts for notoriety and money, lurid tales often filled with half-truths or blatant, gory lies. Now, Mrs. Klein must decide whether to keep those bitter memories secret, or risk destroying the life she has endured so much to build.